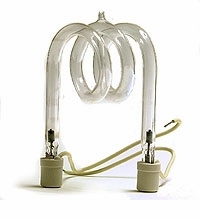 PXA 50 - Pulsed Xenon Arc Tube, designed for the Graphic Arts industry. 4000 watts 125,000 Lumens M.O.L. 4 5/8 inches.